Voters the world over complain about having clowns for politicians, but Brazilians embraced the idea on Sunday by sending a real one to Congress with more votes than any other candidate. 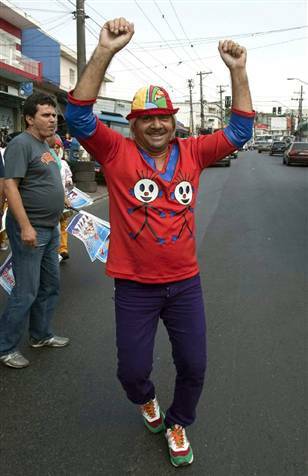 Francisco Everardo Oliveira Silva, better known by his clown name Tiririca, received more than 1.3 million votes in Sao Paulo state in Brazil’s presidential and congressional elections. That was more than double the votes of the second-placed candidate in Brazil’s most populous state. via World news – Americas – msnbc.com.